From September 5th to 7th Lödige Industries will have pleasure to exhibit at inter airport China 2018 in Beijing. During this three-day exhibition we will present solutions for increasing efficiency and maximising throughput for air cargo businesses. As China’s largest and leading trade show in the field of airport construction, inter airport China is also an international event creating opportunities for in-depth cooperation and exchanges between buyers and sellers of airport industry, accelerating construction and boosting innovation-driven development. This event is a perfect source of information about cutting-edge technologies, advanced equipment and systems as well as an opportunity for networking. With more than 50,000 projects and 70 years of experience, we are a leading global supplier of material handling solutions. 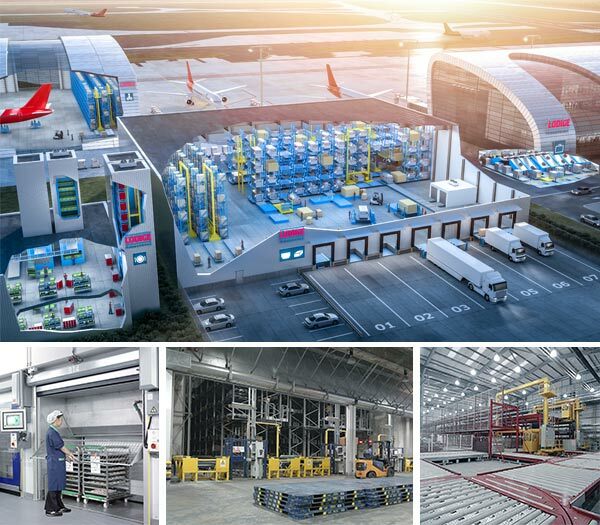 Recognised as the world market leader in air cargo handling terminals we enable responding effectively to increasing global air cargo volumes. With more than 40 regional greenfield and refurbishment projects and a regional team of more than 200 staff, Lödige Industries is a well-established player in Asia. Book some time in your calendar and visit us! Find us at Stand 719.